The information presented on this page was originally released on October 22, 2013. It may not be outdated, but please search our site for more current information. If you plan to quote or reference this information in a publication, please check with the Extension specialist or author before proceeding. MISSISSIPPI STATE – Fourteen members of the Mississippi State University Dairy Science Club, none of whom had shown dairy cattle before, proved hard work pays off when they took home several awards at the Mississippi State Fair. Lamar Adams, Extension dairy specialist in the Department of Animal and Dairy Sciences, said the club members spent about five weeks training and grooming the heifers to prepare for the Open Dairy Cattle Show in Jackson on Oct. 11. 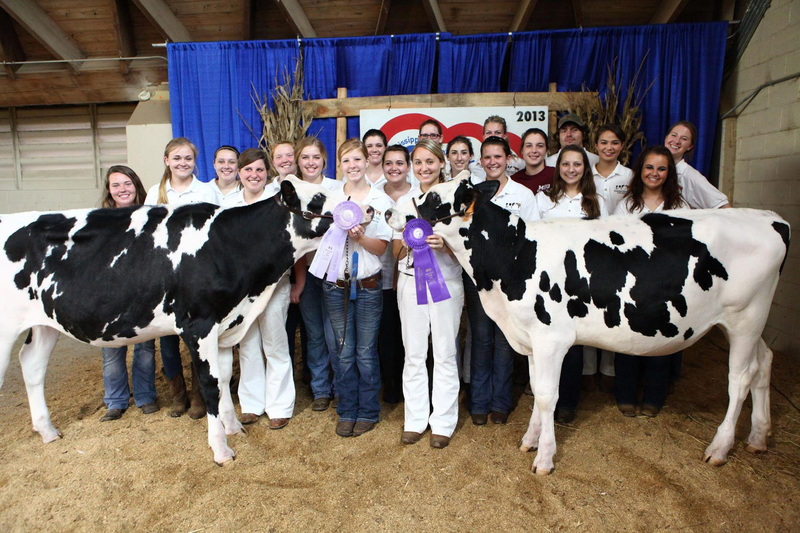 Their dedication resulted in some major awards, including Junior Champion Holstein and Reserve Junior Champion Holstein, the two most prestigious awards in the Holstein heifer division, and several other high class rankings. 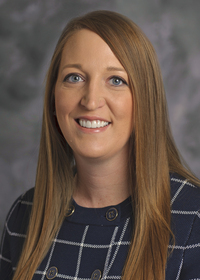 MSU Dairy Science Club President Stephanie Opp competed in the show for two years but took on a new role this year by training the other club members. She led the members through 5 a.m. feedings and 6 p.m. heifer halter training sessions for five weeks. All of the heifers shown by the club members were from the Mississippi State University Dairy. MSU Dairy herdsman Kenneth Graves said he was impressed by the initiative the members demonstrated to try something new. Graves said the members offset the $750-1000 in show expenses by selling MSU Dairy Club T-shirts and winning show premium money. In addition to taking home awards, the members helped Jessica Graves, the undergraduate coordinator for the Department of Animal and Dairy Sciences, operate a display booth with information about degree programs available in the department and general information about Mississippi’s dairy industry. Jessica Graves said she was proud that the club members represented the department in a mature and professional manner while at the show and while training. “It was truly a group effort, and the students didn’t bat an eye at being at the barn before daylight and even spending time on the weekends ensuring the animals were properly cared for,” she said. For more information about the MSU Department of Animal and Dairy Sciences, visit http://www.ads.msstate.edu.